Jordan Dinsmore (Milwaukee Washington) - One of the top unsigned seniors in the state of Wisconsin had a very impressive performance finishing with 17 points and 14 assists. With Washington missing two starters who are normally huge contributors, Dinsmore did his best to help fill their void by scoring but also with getting as much teammates as possible involved. Being a very high-IQ point guard there's no question why Division 1 programs are getting more involved with him. Montana State offered the talented guard earlier this winter while UW-Milwaukee and Sacramento State are also keeping close eyes on him. Michael Foster (Milwaukee Washington) - Arguably one of the top freshmen prospects in the country was on full display Saturday. Scoring 13 points and 14 rebounds in Washington's Overtime loss, Foster was a major key to their comeback run late in the second half. After watching Foster very closely over the past 6-10 months there is no question that he has the potential to be very special player. Every time I watch him he seems more comfortable playing at the varsity level. The 6-10 forward is equipped with length, athleticism, skill, and has a natural feel for the game. Foster committed to Arizona State earlier this winter after receiving early interest from many of the top programs in the country. Nobal Days (Racine Park) - The 6-9 forward did what he does best and that is lead. Finishing the game with 7 points, 12 rebounds, 6 blocks, and 4 assists. Days doesn’t have to score to be the most productive player in the game. His presence on the defensive end was spectacular as he affects almost every shot or pass that comes near him. Days sees the floor so well which allows him to make some incredible passes, he easily could have finished with 10+ assists if his teammates were ready for the ball at times. Days is hearing from a host of high major division one programs including Boston College, Depaul, Wisconsin, Illinois, Kansas State, Marquette, UNLV, and many more. Ty Mosley (Chicago Orr) - Mosley finished with 11 points in Orrs win over Vashon (ST Louis). During a stretch late in the game when Orr took control over the game Mosley scored 9 straight points coming from his very improved outside jump shot. Mosley is very versatile on both ends of the floor where he uses his length and athleticism to be able to play and guard multiple different positions. The 6-5 forward committed to coach Baldwin and the UW-Milwaukee Panthers earlier this fall after receiving offers and interest from programs all across the country. Raekwon Drake (Chicago Orr) - The 6-6 forward had one of the most impressive performances of the day. Finishing with 21 points, 14 rebounds, and 5 blocks Drake was all over the floor for Orr and was a major key to Orr’s success. 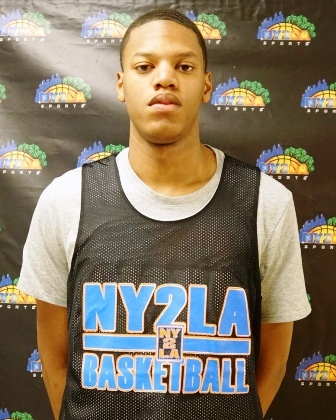 A very long and explosive forward that excels in playing above the rim on both ends of the floor. He showed that off with a very aggressive two-handed dunk and multiple highlight blocks on the defensive end of the floor. 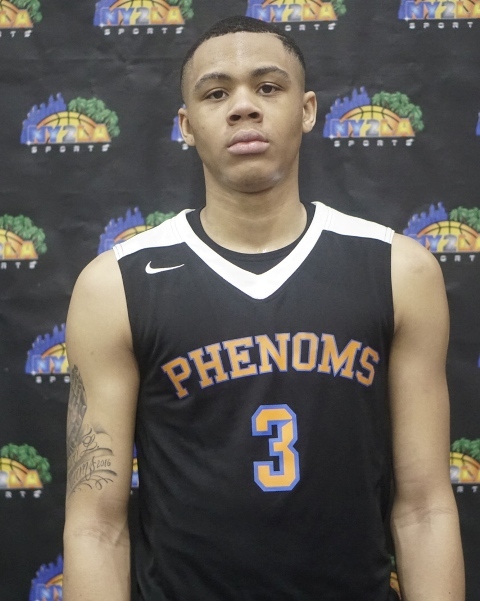 Holding offers from Chicago State and Cleveland State the talented 6-6 forward is also hearing from Green Bay, University of Illinois, and Loyola Chicago. Jeremiah Washington (Chicago Bogan) - Washington was on full display Saturday posting 20 points, 14 assists, and 4 steals. An incredibly quick guard that exceled in playing in transition where he was able to find his teammates for easy buckets. The 5-7 guard had trouble shooting over the length of Milwaukee Washington but he was able to find and create his own space which allowed him to knock down outside shots at a very high and efficient rate. Washington was very clutch when he had the ball in his hands during the final minutes of Bogan’s overtime win over Milwaukee Washington. Chase Adams (Chicago Orr) - Not many point guards are as good of a leader as Adams. Forget all of the highlight videos Adams is a legitimate division 1 caliber point guard who makes everyone around him better. Adams finished with 9 points and 8 assists in Orrs win over Vashon (St Louis). Standing at only 5-8 he doesn’t back down from anyone as he is able to get to the rim and finish through contact. He uses his crafty skill set to create space and that allows him to get his jump shot off. Being one of the most creative and craftiest guards around there is no question why he is on many division one programs radar. University of Illinois Chicago, Oral Roberts, and Southern Utah have all extended offers. Donyae McCaskill (Vashon St Louis) - McCaskill led all scorers with 22 points in Vashons (St Louis) tough loss to Chicago Orr. McCaskill is ultra-athletic and very quick which allows him to be able to get past defenders and drive into the lane at will. 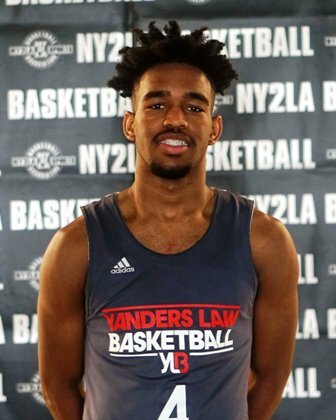 Playing up in age and competing with the Yanders Law 17u team of the NY2LA association last spring and summer gave him experience playing with stronger players and that showed on Saturday as he didn’t back down from Chicago Orr’s physical style of defense. Not many players are as explosive as McCaskill as he has the ability to poster his defender when the opportunity is given. Look for many division 1 programs to follow the 6-1 guard very closely this spring and summer. Dannie Smith (Chicago Orr) - Dannie Smith is a true dog on both ends of the floor. Finishing with 15 points, 7 assists, and 6 rebounds he showed a little bit of everything. He can score the ball in a variety of different ways. Being a mismatch at times because he has the ability to backdown defenders and score inside but can also stretch the floor as his outside shot has improved since the last time I saw him this past summer. Smith played very aggressive defense and shut down some of Vashon’s (St Louis) toughest scorers during very important stretches of the game. Smith was offered by Kent State last week and also holds an offer from Chicago State. Markese Jacobs (Chicago Uplift) - Jacobs finished with 16 points and 10 assists. This is one of the most explosive 2019 players around that makes eye opening athletic plays at a very high rate. Jacobs threw down the best dunk of the day that had the whole gym standing up. He was breaking down his defenders with his creative and quick crossovers. In transition he looks for his open teammates but can also score in variety of ways by attacking the rim or pulling up with his smooth midrange jump shot. Jacobs ended his recruitment early after committing to Kansas last year after holding other offers from Illinois, Depaul, and more. Jaylawn Farrell (Racine Park) - As noted last week Farrell has the potential to be a sleeper in the loaded 2020 Wisconsin class. He continued his strong play in Racine Parks 42-40 win over Bowman Academy (Indiana). He led all scorers with 14 points scoring many of them in the last 5 minutes of the intense defensive game. As noted last week as well, he is still a very raw prospect but he has a very high ceiling. The 6-3 guard still has his best basketball ahead of him and has the potential to open a lot of eyes this spring and summer. Mario McKinney (Vashon St Louis) - McKinney finished with 15 points in Vashon’s (St Louis) loss to Chicago Orr. McKinney is one of the best 2019 prospects in the Midwest. The 6-3 guard excels on both ends of the floor. He uses his length and quickness to stay in front of his opponent for the whole length of the floor. He is a true shooting guard as his outside stroke is very deadly. He can create his own space and knock down shots but he strives in shooting the ball in transition when his teammates can find him in rhythm. McKinney has established himself as a top 100 type talent for the class of 2019. 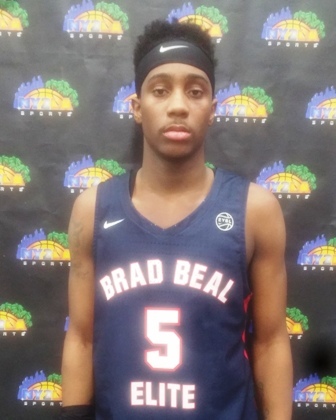 The 6-2 guard already holds offers from the likes of Auburn, DePaul, Illinois, Iowa, Kansas State, Marquette, Missouri, Saint Louis, Southern Miss, Xavier, etc.